If you own two or more computers you are probably using them as a part of a local network, but sometimes there might be some problems. Users report that they are getting an error message saying “Your folder can’t be shared” on Windows 10, so is there a way to fix this error? As we said before, local networks are great when you want to share your files with other users but sometimes there could be some errors. 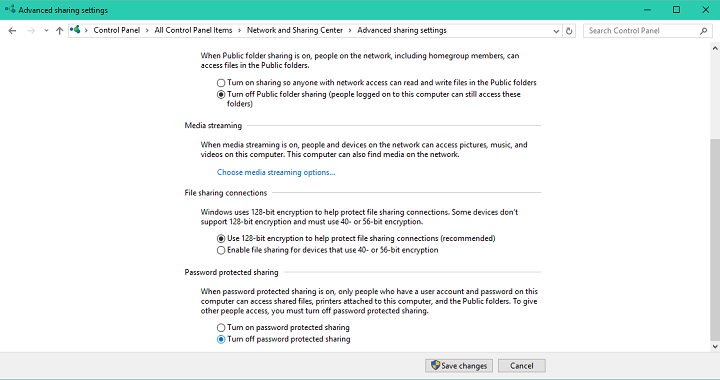 If you’re getting “Your folder can’t be shared” message while trying to share it with other users on your network, you might want to try the following solutions. Locate the folder you wish to share. Right-click and choose Properties from the menu. Go to the Sharing tab and click the Advanced Sharing button. 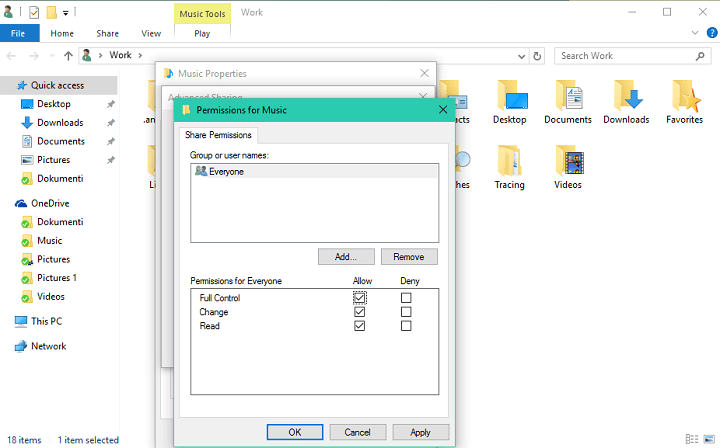 Check the Share this folder and go to Permissions. Now you need to select what type of users your folder will be shared. If you want to share it with Everyone just click Full Control for Everyone. If you’re using password protection click Add > Advanced > Find Now and choose Authenticated Users. Then click OK and choose Full Control. By default, in order to share files with other users, you need to set up a password for each user. This is relatively easy, just go to the user settings and add a password for the current user. We have to mention that you need to do this for every computer on your network. If this seems like a too much work, you might want to disable Password Protected Sharing instead. Disabling Password Protected Sharing comes with certain risks so bear that in mind. Open Control Panel and go to Network and Sharing Center. From the left pane select Change advanced sharing settings. Click the down arrow button to expand the settings for your Home or Work(current profile) section. Locate Password protected sharing section and select то Turn off password protected sharing. Besides the aforementioned solutions, you should also try addressing the Homegroup. 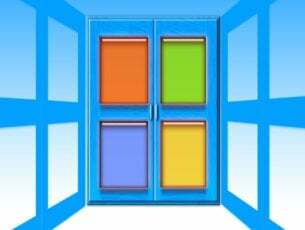 The issues within the Homegroup are common, especially if you use different Windows iterations on the networked PCs. Furthermore, a lot of users that upgraded to Windows 10 over Windows 7 or 8.1, have had a hard time with Homegroup and its features. 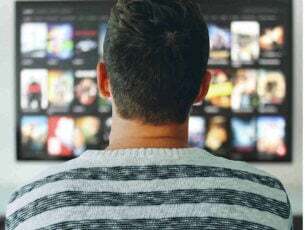 For that reason, we advise you to leave and remove the current Homegroup from all interconnected PCs and create a new one. It seems that this is a valid solution for the ”Your Folder can’t be Shared” issue as well. 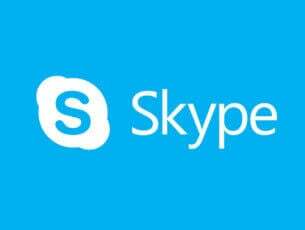 Finally, if previous solutions failed in resolving the issue, we advise you to turn to a clean reinstallation of Windows 10. 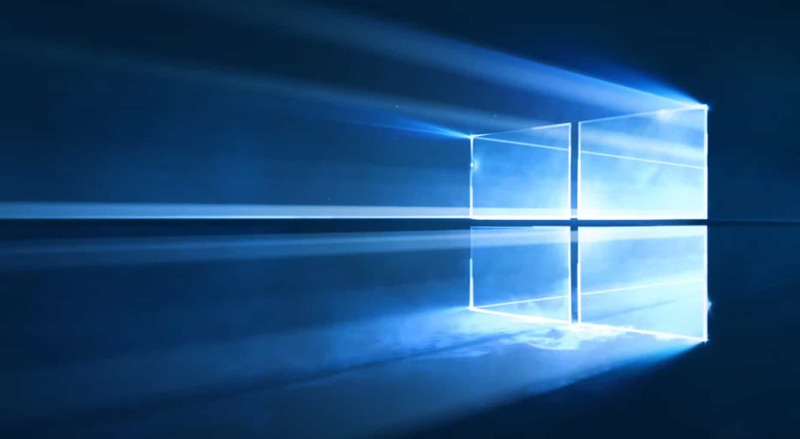 Namely, it seems that the irreconcilable differences between Homegroup on Windows 7/8.1 and Windows 10 are the most common reason for this error. Because of that, it’s safe to say that only the clean installation of Windows 10 will perform as intended, at least in regards to Homegroup and Folder Sharing features. 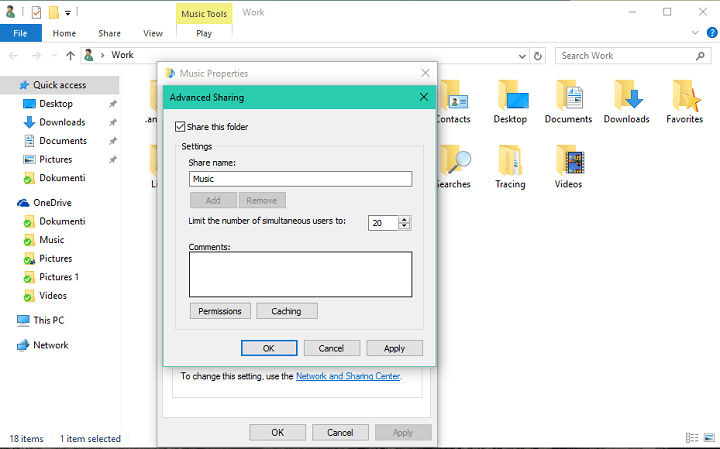 That’s it, these solutions should help you to solve the sharing problem on Windows 10. If you have any comments or questions, just reach for the comments below.